Winter opening hours at West Sussex’ rubbish tips will come into effect next week. The county’s 11 Household Waste Recycling Sites will be open 9am to 4pm from the start of October until the end of March. There will also be changes to the days some sites are open. Burgess Hill, Chichester, Worthing, and Crawley will open for six days a week during the winter months. Chichester will close on Tuesdays while Burgess Hill, Worthing, and Crawley will close on Thursdays. The remaining sites are closed for two days a week. 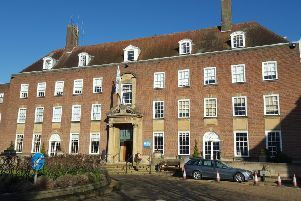 Deborah Urquhart, West Sussex County Council’s cabinet member for environment, said: “The changes are based around the demand for services at different times of the year. Further information on Household Waste Recycling Sites can be found here.